This is perhaps the most complicated and contentious issue Christians face in today’s culture. Most churches are poorly equipped to handle it; parents are even less prepared. 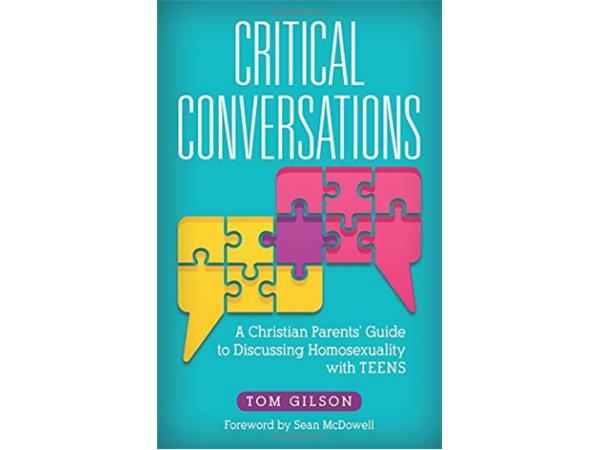 The good news is that parents need not have pat answers ready before they dive into conversations with their teens and preteens on this difficult topic. Learning together?parents struggling through these issues alongside their kids and leading them to biblical answers? has relational benefits. Tom Gilson is the Senior Editor and Ministry Coordinator specializing in Christian apologetics and inspiration for the daily online news and insight website The Stream (stream.org). Previously he had served with the Ratio Christi Campus Apologetics Alliance. He is the monthly Worldview and You columnist at BreakPoint Online, and has written articles for Discipleship Journal, Touchstone Magazine, and Salvo. He blogs at Thinking Christian (thinkingchristian.net).